THE GREAT POWER of the arts is to tell our story back to us, so we can see and appreciate our achievements and struggles, and view ourselves afresh. It’s what inspired the residents of Yorkshire’s City of Hull, who were feeling rather neglected and forgotten, to engage with public art and, with other events, helped to generate such civic pride that Hull felt confident enough to vie for and eventually claim the title of UK City of Culture in 2017. And it all started with a toad … or more accurately 40 toads, as part of the Larkin with Toads Festival – the inspiration for Port Macquarie’s Hello Koalas Sculpture Trail. 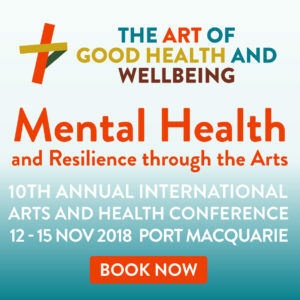 Elaine Burke, Arts and Health Advisor Consultant and former project developer and advisor to the Larkin with Toads festival, is one of the 12 international presenters coming to Port Macquarie for the 10thArt of Good Health and Wellbeing international arts and health conference, 12 – 15 November at Sails. As Elaine explained, the 10-week-long 2010 multi-arts festival was based around famed English poet Philip Larkin, who lived in Hull for 30 years and had two toad-based titles. Hull’s largest public art project, it involved populating the city with artist-decorated giant toads, which “appeared like Christmas presents across the city one night”. Each was the artist’s “take” on the city, and the aim was to reinvigorate the community and encourage people to “move around their city, come together and rediscover their own backyard”. 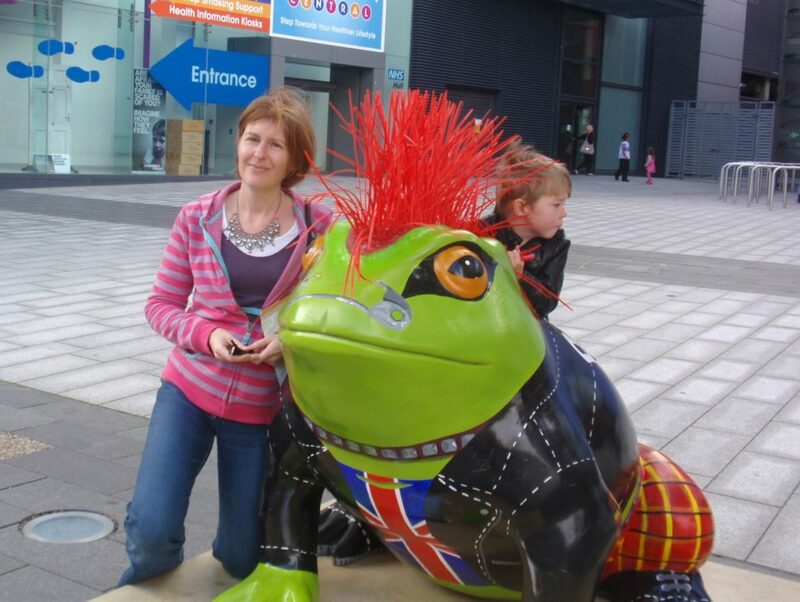 Many businesses were unable to see the value of sponsoring a toad sculpture … until they saw the public reaction and witnessed the increased local and visitor attendances. “There was something inherently joyful about the toads,” Elaine said. While not an overt public health program, she said it had all the best results of one, bringing people together to feel good about themselves and their home, opening conversations, changing attitudes and gaining publicity for the city, which brought in tourists and dollars. And it has had a lasting legacy, with the festival used as the exemplar to help convince the UK City of Culture panel that Hull could run large-scale events. The result was not just claiming a prestigious title, but a year of immersion in arts and cultural events of all descriptions. 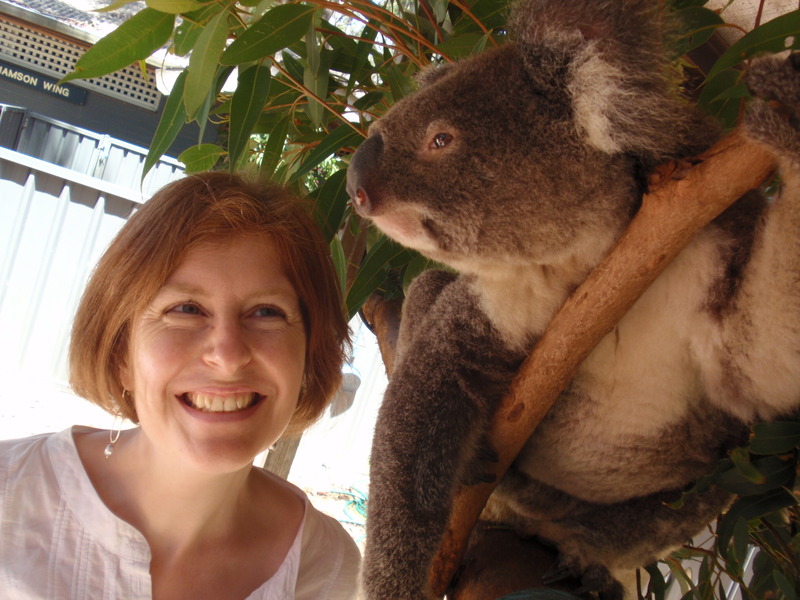 “And it’s been incredibly exciting and very gratifying to see the Hello Koalas Sculpture Trail and Hello Koalas Festival flourishing in Australia,” Elaine said. 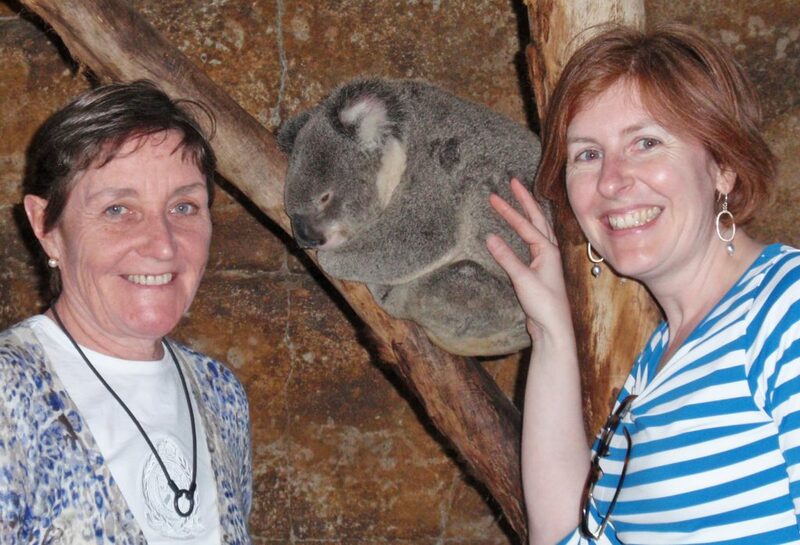 It was at a 2011 conference that Elaine met and spoke with Australian Centre for Arts and Health director Margret Meagher about the success of the English project, and Margret put forward her idea of a koala trail. Elaine said that from the start it had all the hallmarks for success. “The idea has to be right – relevant to the people,” Elaine said. “Koalas, as a native animal, their image and shape, have resonance with visitors and residents alike. Cogency was another important aspect, Elaine said. Projects need to inspire the public; for instance in the case of Hello Koalas, with the message of environmental awareness. They also need to allow the artist to appeal creatively, potentially link with other arts, let businesses see how they can connect with the idea (and what each partner gains from that relationship), and involve smart use of merchandising, marketing and technology. Maintaining the relationship with the public, including through schools and education, is also vital, and being as inclusive as possible. “There’s no room for ‘winging it’; it all has to be carefully choreographed,” she said. 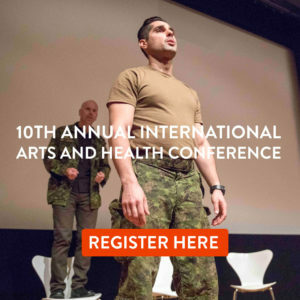 But while this may seem all very practical, Elaine said it didn’t diminish the “magic and intangibility” of the arts’ ability to speak to people and unite us. In the case of Hull, that message literally put the city on the map, with the spotlight on it as the City of Culture prompting the BBC to include it on the nightly weather map for the first time. “That was really symbolic to people who had felt so forgotten,” Elaine said. One of Hull’s first events as the City of Culture involved seven nights of projections, animations and illuminations tracing the city’s history to music. The most powerful of these, Elaine said, was the simple message in giant letters, “We are Hull”.